The Heceta Head B&B is all decked out for Christmas! That was at dusk last night. I can’t figure out how to auto-focus when it’s that dark. hahaha Although out of focus, you can see the crab boat lights. 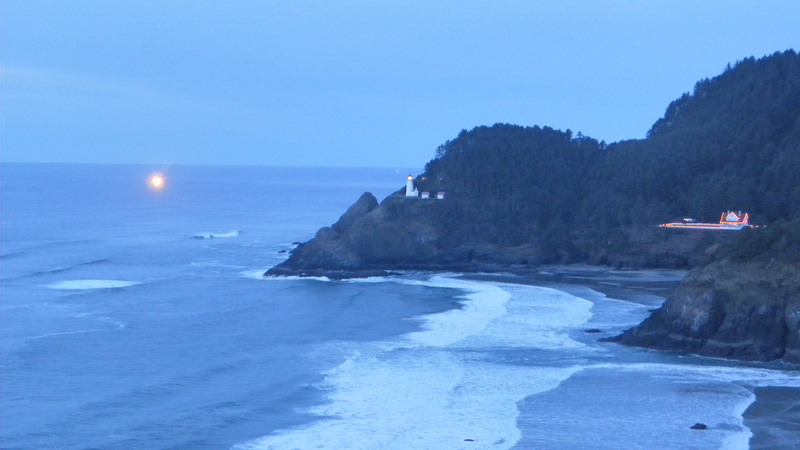 There’s another behind the lighthouse and 5 more south of us. We haven’t seen any boats today. Maybe they’re taking time off for Christmas? 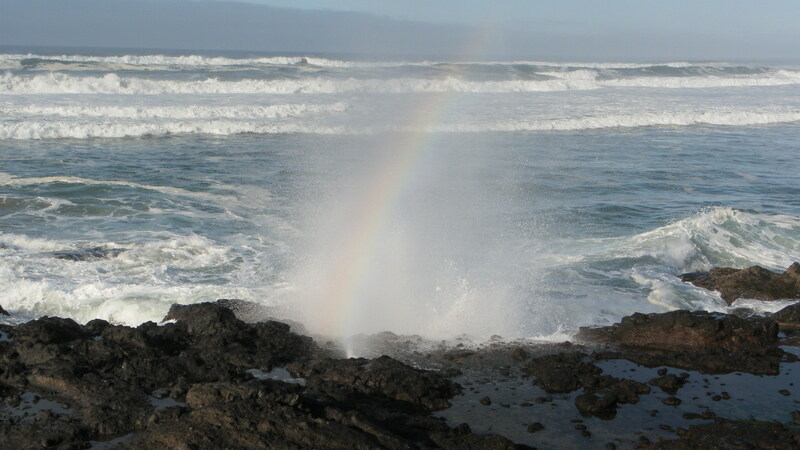 We got lucky today and caught a spouting rainbow at high tide (9.5) on Yachats Beach Rd. High surf warning is in effect until 4am Saturday. We might finally get some rain this week! That would be a good Christmas gift. We’re missing the winter storms a little. We went up the Alsea river this afternoon. Eckman Lake is full of ducks this week. We decided to see if we could get some pix. We’ve found that, if you stay in the car, the wildlife doesn’t startle as easily. As soon as they see the two-legged critter they become skittish. Clusters of ducks swim towards each other then bob and duck and splash. Not sure if it’s feeding or a mating ritual or what. 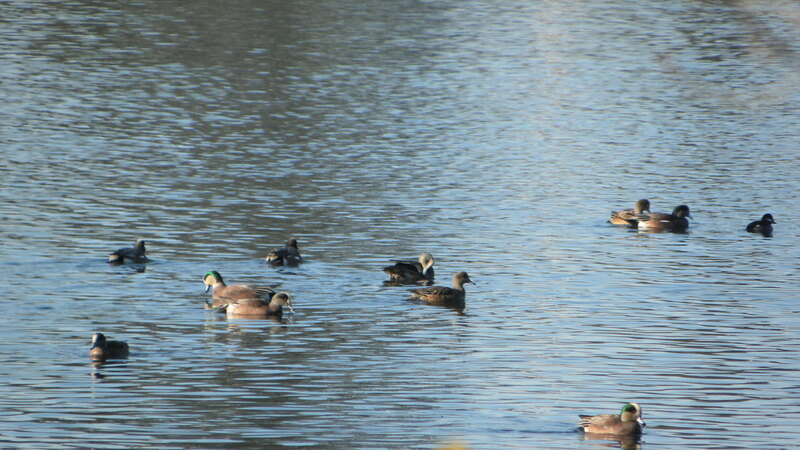 There are some mallards but I think the majority of them are American Wigeons? Tell me if you think different.